We’re just back from an amazing road trip to the Scottish highlands and I’ve got so much to share with you. 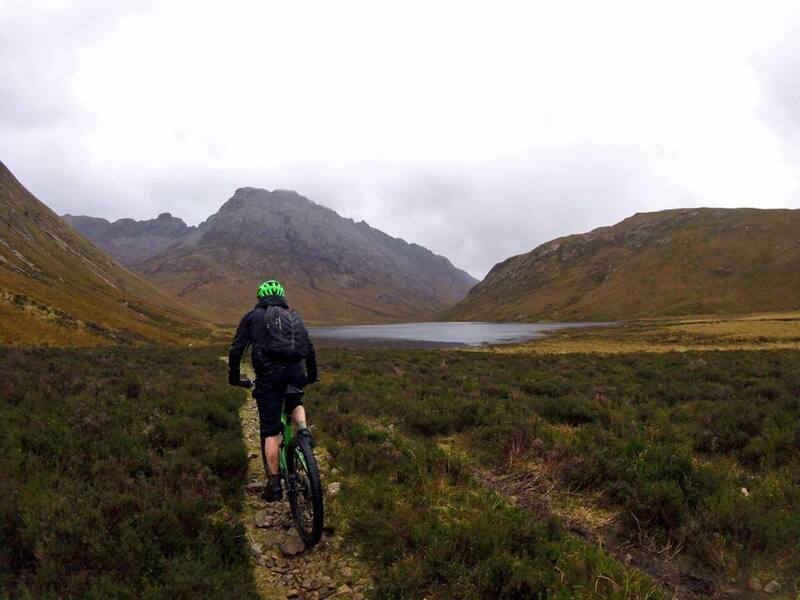 In this post – the two amazing natural mtb trails on Skye that we rode – our first venture away from the safety and comfort of the trail centres we’re used to. From the day I learned to ride a bike I’ve always loved cycling. As a kid I’d mostly be found razzing my BMX around the pump track and into town, and at uni my retro Peugeot racer and wicked pink Chopper joined the collection in the hallway of our student house. Nowadays even though I ride my much-loved Giant road bike more often to commute and get around, it’s mountain biking that has truly captured my heart. There’s a special kind of freedom in heading into the great outdoors on two wheels – whether sailing cross-country atop the rolling South Downs, or throwing yourself down some nice flowy singletrack in the Surrey Hills, Wales or Scotland – mountain biking is the one. But which is best for that singletrack fix? Trail centre or natural? It’s no secret that me and Chris are trail centre fiends. Like theme parks for mountain bikers, they’re a playground for adults (and kids) on wheels, with clear graded trails and facilities for the post-ride clean up and refuel including the bespoke trail centre beer. 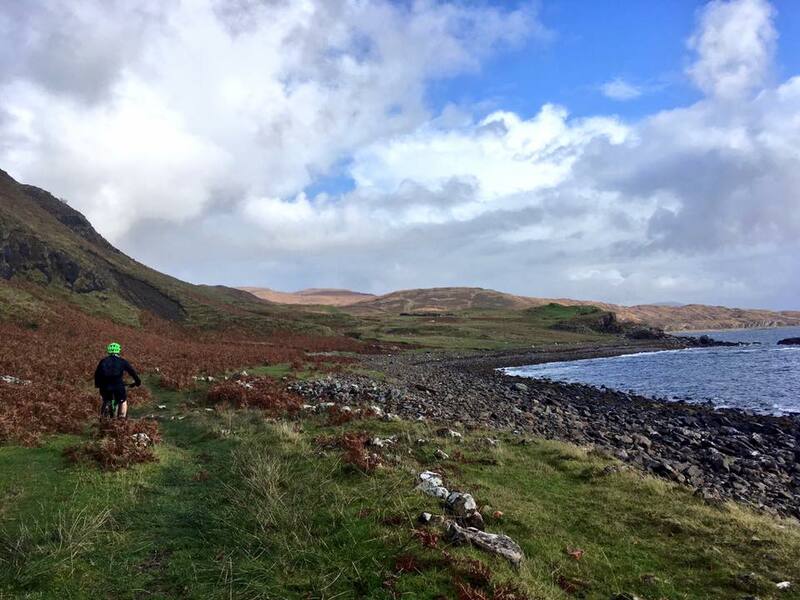 Our first ride on the Isle of Skye was a gorgeous 10mile loop to the deserted village of Boreraig. The village was one of the many victims of the highland clearances in 1853, when Lord MacDonald evacuated its residents to make way for his more profitable sheep. I love stuff like this. Deserted buildings and abandoned ruins that hold a fascinating history of times past. So remote it was only accessible on foot (or wheels), and hidden deep within the most beautiful Scottish landscape. Wandering through the derelict homes you can really imagine people carving out a simple but fulfilling existence there, children playing on the hillside. The loop starts from the beach car park at Camas Malaig and you’re meant to ride back along the road you came in on for a few km before turning right after the church and into the hills at a sign marked Loch Cill Chriosd. We did it the other way around though, accidentally, and headed straight to the clifftop path that hugged the coastline from where we parked. It was a beautiful start to the ride with views that took my breath away instantly. The path meanders along with some technical climbing, to a gate which you’re not meant to go through like we did – take the smaller path to the left of it. Eventually it comes out at a gorgeous clifftop overlooking the mountainous coast and neighbouring islands. We had to carry our bikes down this bit to get to the path below (and if you ride the route the right way round you’ll carry yours up). From there the undercliff path takes you down to the abandoned village, a forgotten home visited now only by walkers, riders and passing sheep. It was fascinating. After me getting a bit scared at how remote we were and harassing Chris to make sure he knew exactly where to go on the map we headed up the hill out of the village to the track (which was much more rideable with the stone than the boggy fields). 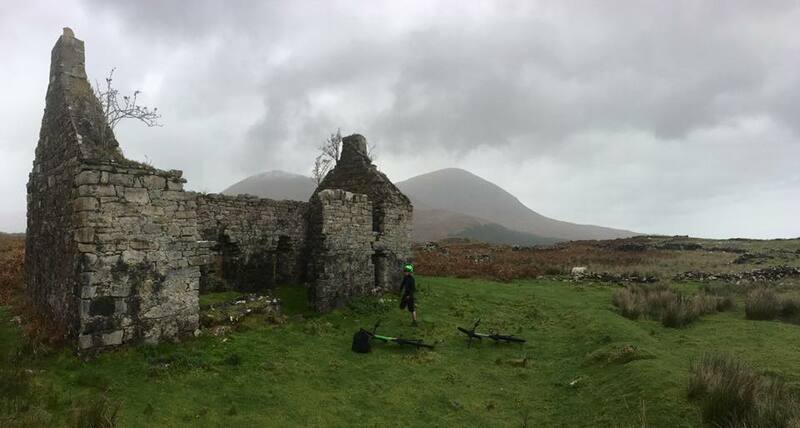 This was the best bit of the ride for me as the path led us to the most beautiful view of rocky mountains and abandoned church deep in the boggy valley. From here we found the path to the road again and looped back to the van. For my first ever taste of natural riding it was just incredible. 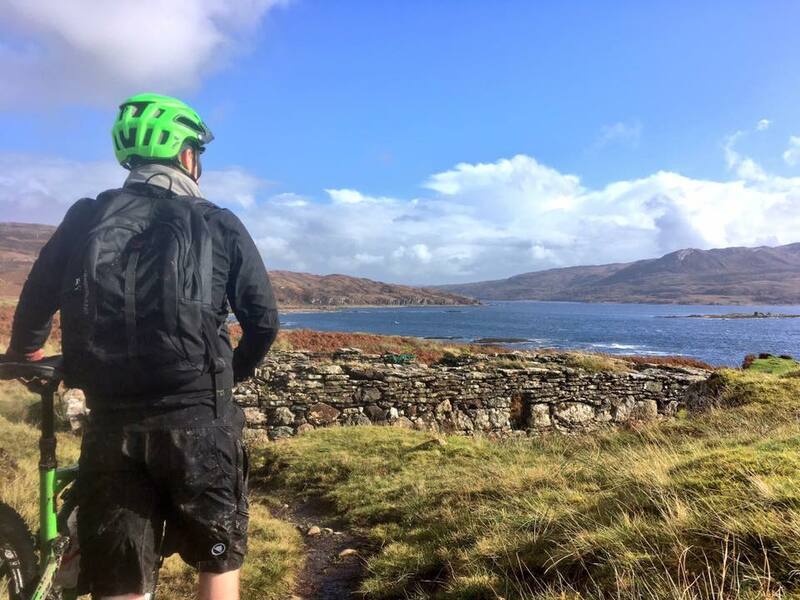 The views were spectacular, the history of the place so interesting and the whole ride just one big adventure – even though there was a fair bit of pushing and lugging the bikes over unrideable rocks and bogs. (Might’ve been different if we rode it the right way round and it hadn’t been so wet). Link to the route on MBR, and if you want to walk it starting from the church. Our second taste of natural riding blew my mind from the word go. I’ve never experienced landscape like it in real life until this trip and I swear the word ‘wow’ escaped my lips no less than 100 times. There’s a long 27mile loop you can do but it’s got more than an hour of road riding before you get to the good stuff and I don’t have time for riding my Rhyme on the road. So we opted for a lovely out and back, from Sligachan to Camasunary Bay – although we did turn back at Loch na Creitheach due to Chris deciding to take a bathe in one of the bogs and the heavens opening on us shortly afterwards. Note to self: must buy an emergency weather shelter. We started from the very beautifully placed and well-equipped (but bloody windy) Sligachan Campsite, and rode along the road to the hotel to take the footpath to the left of the bridge. 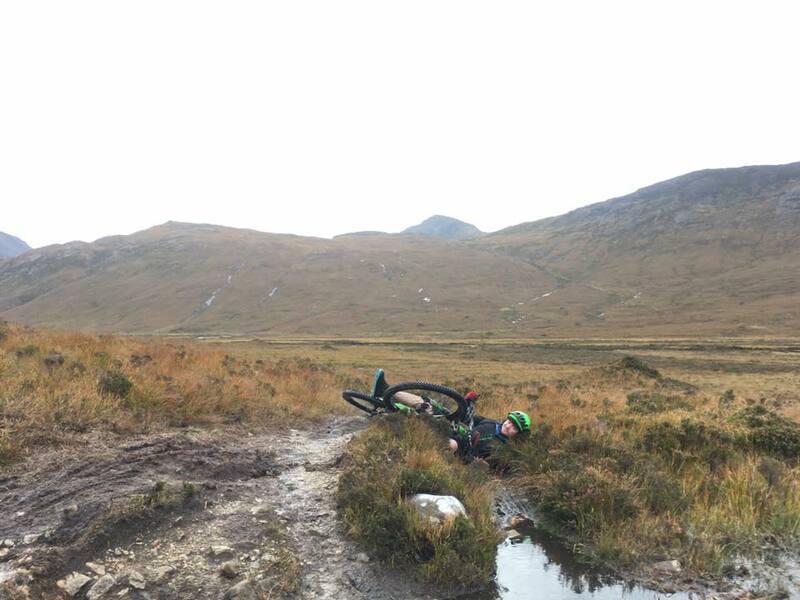 Don’t make the same mistake that we did at first and take the right path (there are three to choose from) as you’ll end up wading into a sea of boggy grass and have to push your bike up to the correct path. 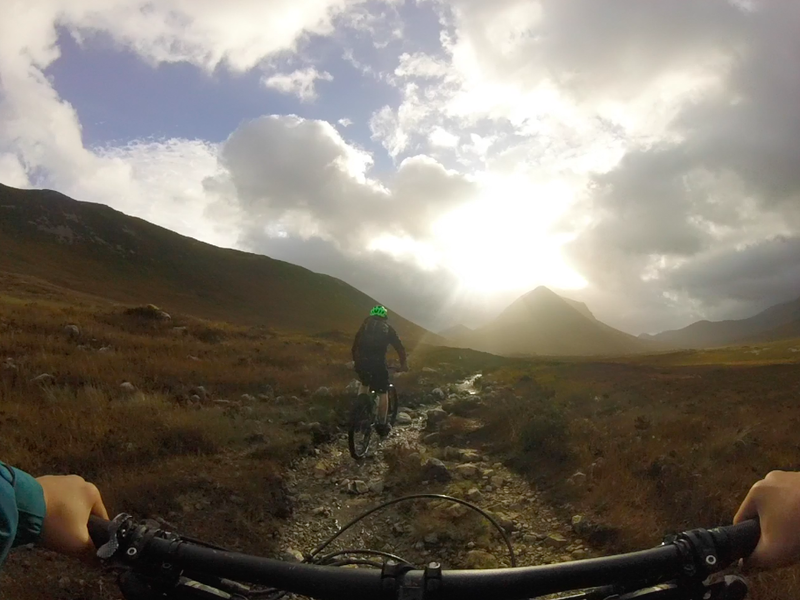 Once we joined the right path it was a pure joy to ride, with much more flow than the Boreraig wrong-way-round loop we’d done a few days before. The first couple of kms are a bit stop-start as you have to keep getting off to push over drainage gullys (or if you’re hard enough, maybe jump over them?). We were nervous about this part as there are plenty of people on mtb forums who hate the stop-start, and we did start to wonder if the whole ride would be the same, but I’m so glad we carried on. And it depends what you’re there for I guess. I was just so awe-inspired to be in the middle of those mountains I would’ve carried my bike the whole way and still had an awesome time. After a while the drainage gullies let up and you’re treated to nice flowy singletrack – albeit with lots of rocks, stone, bogs and obstacles to navigate. It was one of those rides where the magnificent mountains are begging to be looked at but you can’t take your eyes off the terrain beneath you for long enough to do so. We passed about five walkers and two mountain bikers in total and were out for a good three plus hours. My battery died on my TomTom so annoyingly I don’t have the full ride, but what I do have is the memory of feeling so insignificant in between those gorgeous mountains. The landscape was truly spectacular, the trail challenging and interesting, and endorphins and wonder in full flow. I kept my feet dry until mile five when I had no option but to wade directly through a deep bog on foot. We turned a bit early at the loch as were soaked from a downpour and getting tired, not wanting to risk getting too far out for the long ride back to haggis and whisky at the hotel. Now that I’ve read up about the rest of the route I’m a bit gutted we didn’t make it down to Camasunary Bay but I know we made the right decision at the time. While the ride wasn’t particularly difficult in terms of climbs or descents, it was energy-sapping to stay focused and always choose the right line – or when to admit defeat and get off. 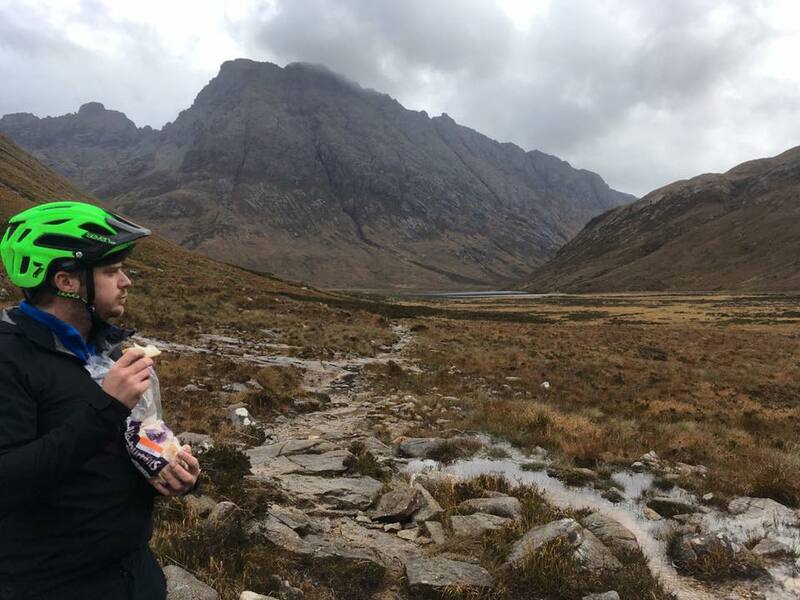 Without a doubt the most beautiful place I’ve ever had the fortune to ride my bike (Boreraig a close second), and both an experience I’ll never forget. 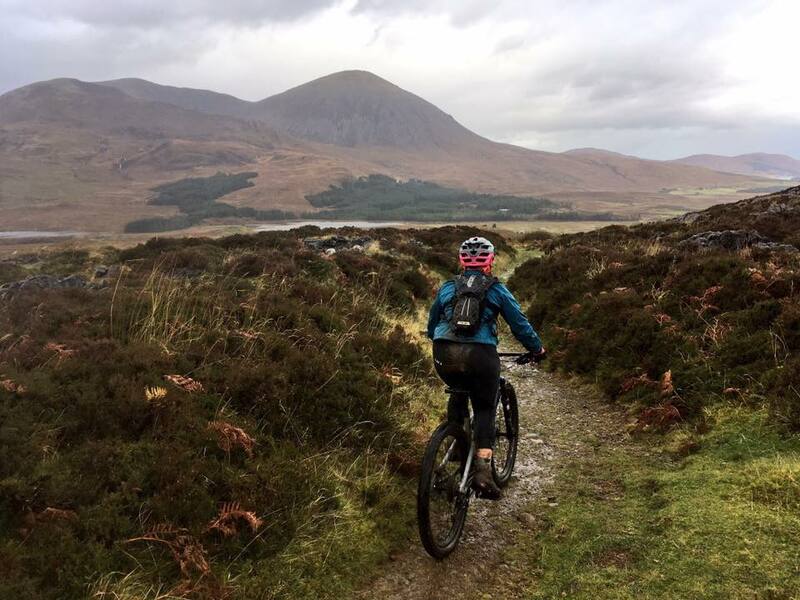 Full Sligachan loop on mtb trails website. So which wins – trail centre flow or natural adventure? I know I should finish this post with a definitive answer but I just don’t think I’m there yet. Both trail centres and natural riding have their pros and cons – the fast, flowy fun of the trail centre blue and red will forever be a pull to me. But the breathtaking scenery and sense of adventure you get from natural riding is second to none, and you can forgive the occasional lack of flow to paint a picture that stays with you forever. So I think more testing will need to be done before I come to a conclusion, you know, for quality control. The Trans Cambrian Way (is this classed as natural?) and Gap ride in Wales are on the hit list for next year, as is the Quiraing on Skye (we had to walk this in the 50mph winds on our holiday but had originally planned to ride it). Which do you prefer? Trail centres or natural? Next Post Women In Sport with Vitality – my new challenge!